Proper HVAC sizing: When the “rule of thumb” doesn’t work – Central Electric Cooperative, Inc. Unfortunately, this type of simple calculation is outdated, which could cost you money. Is your unit too big? Why is an oversized system problematic for the average homeowner? Heating and cooling account for more than half of the energy use in a typical U.S. home. So, if your HVAC unite it too big, it means that it may be “short cycling,” or constantly turning off and on. When the unit runs in short bursts, it will not run long enough to eliminate all of the humidity in your home. If you are in a warmer climate and rely on the air conditioning mode, it could be a short-cycling system leaves more moisture in the air, making your home feel sticky and warm; this can also lead to growth of mold and mildew. 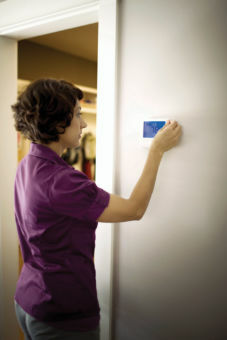 Heating and cooling in short bursts results in uneven temperatures and hot or cold spots in your home. Lastly, the unit’s parts wear down prematurely. Or is it too small? On the other hand. If your HVAC equipment is too small you have a different problem – the unit is constantly running in order to try to keep up with demand. This also means that your space is never heated or cooled adequately, and you have unnecessarily high energy bills. So, how can you ensure that you get the right size HVAC system for your home? There are several factors to consider, but it all starts with choosing a knowledgeable and licensed HVAC professional.